Officials at Yosemite National Park have announced they will close one of the park's campsites after two squirrels died of plague in the area. 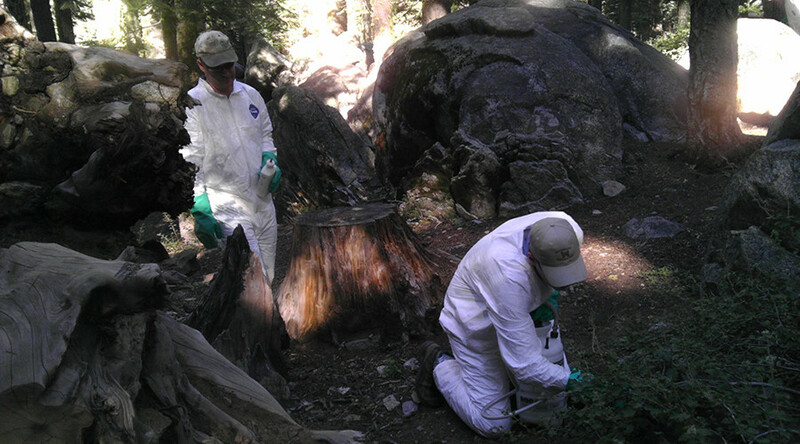 The 304-site Tuolumne Meadows Campground will be closed from noon Monday until noon Friday so that authorities can treat the area with a flea-killing insecticide. The substance will be sprayed into rodent burrow holes, according to the California Department of Health (CDPH). Plague is carried by rodents and other animals, and is spread by fleas. “Although this is a rare disease, and the current risk to humans is low, eliminating the fleas is the best way to protect the public from the disease,” CDPH director and state health officer Dr. Karen Smith said, according to a CDPH press release. “By eliminating the fleas, we reduce the risk of human exposure and break the cycle of plague in rodents at the sites. People can protect themselves from infection by avoiding any contact with wild rodents," she added. Individuals with camping reservations at the site said they were contacted by the park and told their bookings had been canceled. The campsite books up months in advance, within minutes of sites becoming available, according to KTLA 5 News in Southern California. It comes just one month after a child fell ill with the plague after camping at Yosemite's Crane Flat Campground. The child has been recovering in hospital. That campground was reopened Friday after also being sprayed with insecticide for four days. A total of 42 people have contracted plague in California since 1970, resulting in nine deaths. Until this summer, the most recent three cases occurred in 2005 and 2006, with all of those patients recovering. Meanwhile, Colorado also continues to battle the plague, with two people dying in the state within two months of each other. Twelve Colorado residents have contracted the flea-borne disease since 2014 – a massive surge compared to just eight people during the previous nine years. Symptoms of plague can include fever, chills, weakness, abdominal pain, shortness of breath, and swollen lymph nodes. It can be treated and cured with antibiotics soon after infection, but can become deadly if treatment is delayed. The most common form of plague is bubonic, during which patients typically show symptoms two to six days after becoming infected. This is the type that wiped out an estimated 60 percent of Europe's population in the 1300s. However, septicemic plague is trickier to diagnose, as the victim's glands do not swell. The third and least common form is pneumatic, which involves pneumonia and is capable of spreading among people through coughing.